This page tells the story of one of the great sporting spectacles of the world. It is a spectacle which takes place on the field of play, and yet it does not involve any competitive action. This is the haka, the Maori war dance, which is performed for the entertainment of the watching crowd—and for the intimidation of the opposition—before each and every match which involves the mighty New Zealand Rugby Union team. For those of you who have not yet witnessed this event, it is the most powerful non-violent display of 15-man menace one could hope to see. Designed to strike terror into all who face up to it, the haka nonetheless evokes nothing but huge cheers and applause, even from fans of the opposition, for whom this pre-match ceremony is the perfect warm up for the subsequent game of rugby! Anybody who has never watched a game of rugby should one day at least watch the build up to a match involving New Zealand—historically the best side in the world and a team known universally by the colour of their team kit; they are the 'All Blacks'. This article relates the history of the haka, its place in the world of All Black rugby, and how it is performed today with videos and photos to demonstrate. It must be stressed that the haka is not merely a dance in Maori culture. it is an integral part of tribal mythology and tradition, reflecting the identity and history of each tribe, and the strength and vigour of their warriors. It is said that the haka has its origins in the story of Tama-nui-te-ra, the Sun God, and his wife Hine-raumati, who was the embodiment of summer. Their son was named Tane-rore, and in mythology, the shimmering appearance of the air on a really hot summer's day symbolises Tane-rore dancing for his mother. One of the haka gestures - a rapid trembling of the hands - reflects this shimmering of the air. Whatever the origins, the haka in its many forms has featured in many Maori myths and stories over the centuries. One early legend of the Maoris tells the story of the Chief Tinirau and the women of his tribe.Tinirau had a pet whale and one day this whale was killed by a man from a neighbouring village. Tinirau sent a hunting party of women to find the man responsible, a priest called Kae. But the women didn't know what Kae looked like; all they knew about him was that he had overlapping, uneven teeth. So in this myth, the women decided to perform a haka which made the men of the village smile and show their teeth. When Kae smiled, his identity was revealed, and so he was captured. The most famous of many versions of haka is the ceremonial 'Ka Mate', which was composed about 1820 by Maori chief Te Rauparaha of the Ngati Toa tribe. It was a celebration of the triumph of life over death and symbolised the ploys he used to outwit his enemies. And the reason it is the most famous version today is because in 1905, it was adopted by the New Zealand rugby team and incorporated into the pre match ritual of the All Blacks. Long before the first Europeans came to New Zealand, the Maori people of Polynesian descent had sailed their canoes there, and made the islands their home. These tribal people had their own culture and beliefs and customs. 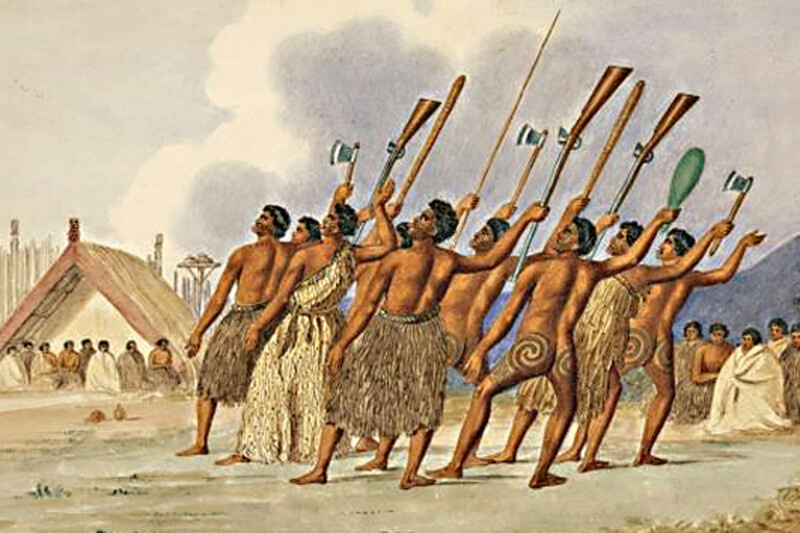 Inevitably the arrival of the white man as a dominating new presence during the 19th century, led to some tragic conflict with the native tribes, but also the gradual adoption and integration of at least some of the traditions of the Maori people into mainstream colonial New Zealand culture. One such tradition was a tribal dance known as the haka. The origins of the haka are rooted in Maori ancestral history, and the dance is rich in folklore and legend. Usually it's considered an aggressive dance, but haka actually can refer to many forms of dance, including dances for women, dance which is accompanied by song, and dances of welcome. It was ritually performed whenever two communities came together whether in anger or for any other reasons. In its benign form a resident tribe may perform a haka to welcome a visiting party, who would then respond in kind with their own version. Speeches, and a traditional pressing together of noses, would follow to complete formal greetings. However, to most people, it is the haka as a war dance which is best known - a pre-battle challenge to an enemy tribe. It was characteristically performed by warriors who carried weapons such as clubs and staffs, though the women may sometimes also provide vocal encouragement. The purpose was to invoke the God of War and to frighten and intimidate. Several versions of war haka existed, but the general term for all of these was 'peruperu'. Peruperu involved a sequential display of grotesque facial expressions, with bulging eyes and the poking of tongues, yells and weapon wielding, performed before the commencement of battle. The Maori haka has been described as a 'posture dance' because it emphasises the whole body posture, hand and foot gestures and facial expressions. Stylised movements of the body, accompanied by cries and shouts, are common. The typical ingredients include the swaying of the body, chest thumping and violent stamping of the feet, the slapping of the hands against thighs or arms, and various grotesque facial contortions - most notably glaring eyes and the poking out of the tongue - often done in unison. All these gestures and sounds are intended to be symbolic of character traits such as aggression, courage and defiance. The haka has always been a very culturally diverse dance within the Maori tribal tradition, but in modern times, New Zealanders of European descent as well as New Zealanders of indigenous Maori ancestry have expanded its role even further to celebrate all kinds of events of a non-tribal nature such as birthdays, weddings and funerals. Trade delegations have been known to request haka dance troupes to accompany them as a demonstration of their national pride, and ex-pat New Zealanders have used it as a form of social bonding to strengthen their identity overseas. Hakas have also been composed for specific occasions, and for women and children to perform, and the dance today will be seen by people around the world in television news footage of ceremonial greetings for visiting dignitories. Presidents and prime ministers, and even monarchs may well have to face up to a benign haka whenever they set foot on New Zealand soil. During the Afghanistan war, a haka performed by soldiers in memory of comrades killed in action received huge Internet coverage. It has become a quite unique form of national expression. Indeed such are the range of occasions - including some very frivolous events - which now attract hakas, that some of the more traditionalist Maori elders have become concerned about possible corruption of the original dances and the symbolic functions they served. But for all that can be written about the various expressions of the dance form both in history and in modern times there remains no doubt that the haka is now indelibly linked to the 'All Blacks', the New Zealand Rugby Union team and their Rugby League counterparts, the 'Kiwis'. However often the haka is performed in New Zealand at various festive occasions, it is on the rugby field that the rest of the world is today most likely to experience this tribal dance. The rest of this article is devoted to the sport of rugby union, and the role of the haka in pre-match ceremonies, but first a short video which shows a traditional haka performed by the Waiherere Maori Dance Troupe. The video was uploaded to YouTube by Dagich7. Strongholds of the sport of rugby union are in the four nations of the United Kingdom, in France and Italy, and in the Southern Hemisphere in New Zealand, Australia, South Africa and Argentina. However many other nations field teams in what is a rapidly burgeoning international arena. Canada regularly competes quite effectively against all of the traditional powerhouses of the game, and the U.S.A also usually qualifies for the four-yearly World Cup, though has yet to get past the first round of matches. As in all sports, ascendancy in world rugby does fluctuate, but throughout the decades, New Zealand, where rugby is the nation's favourite team sport, has consistently been one of the very best sides in the world. Their record is formidable. They have won more than 76% of all their internationals, and they have a clear win-loss ratio in their favour against every country on Earth. Indeed, at the time of writing, only five rugby nations (South Africa and Australia, France, England and Wales) have ever defeated New Zealand. Of these, the best record is that of the South African 'Springboks', who have managed to win 35 internationals against the All Blacks but have lost 50. The haka-dancing All Blacks are without doubt the most feared of all rugby nations for their level of professional dedication, their technical skill and their power. For those who live in parts of the world where rugby is not so widely played, there now follows a very brief guide to the game. Rugby is a team sport which exists in two distinct codes known as 'Union' and 'League'. Rugby Union was, until as recently as the 1990s, an amateur sport, and Rugby League was the professional version, with quite significant differences in the rules. However since 1995, Rugby Union has become a professional sport at the highest level, and this is the more widely popular of the codes. 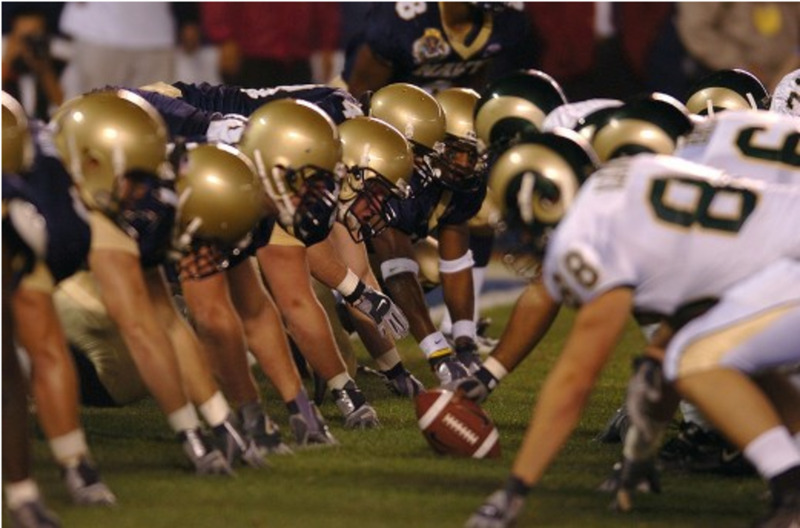 The game of rugby union is played over 80 minutes between two teams of 15 players. 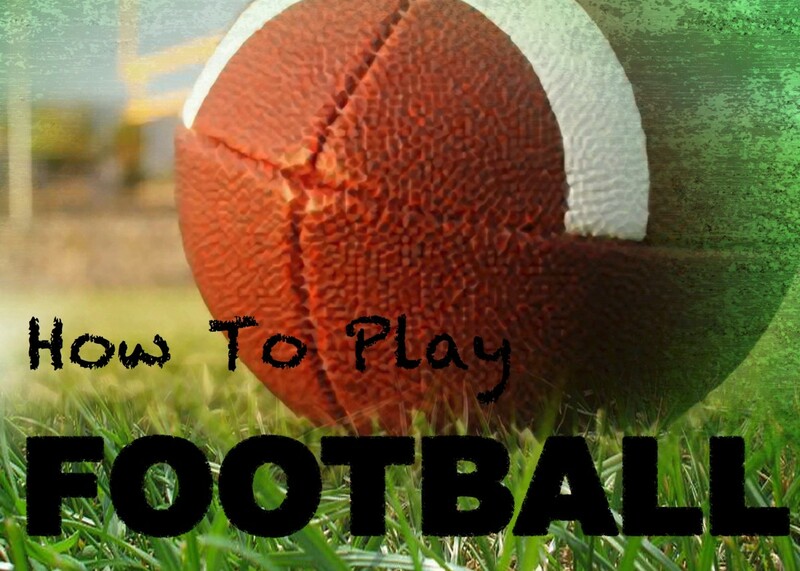 It has more in common with American Football than it does with Association Football (Soccer) in that players can handle the ball and passing of the ball through the hands is the main method of progression on the field of play. A gain in territory can also be achieved by kicking the ball forward, but the most typical manner of advance is by running with the ball in hand. Play is much more broken than in American football with fewer set-pieces, but the most important difference between Rugby Union and American Football is surely that in rugby the ball can only be passed backward. It is against the rules to throw it forward. This of course makes progression up the field of play towards the opposition goal line somewhat more difficult than in related ball games, so strategy and tactics and fluid passing movements between the players are critical. Points are scored by carrying the ball over the goal line and touching down, or by kicking the ball between the goal posts. Carrying the ball over the goal line is called a 'try' and tries are worth 5 points. Kicks through the goal may be worth 3 points for penalties and drop goals (a kick during active play) or just 2 points for a conversion (a free kick at goal awarded after scoring a try). 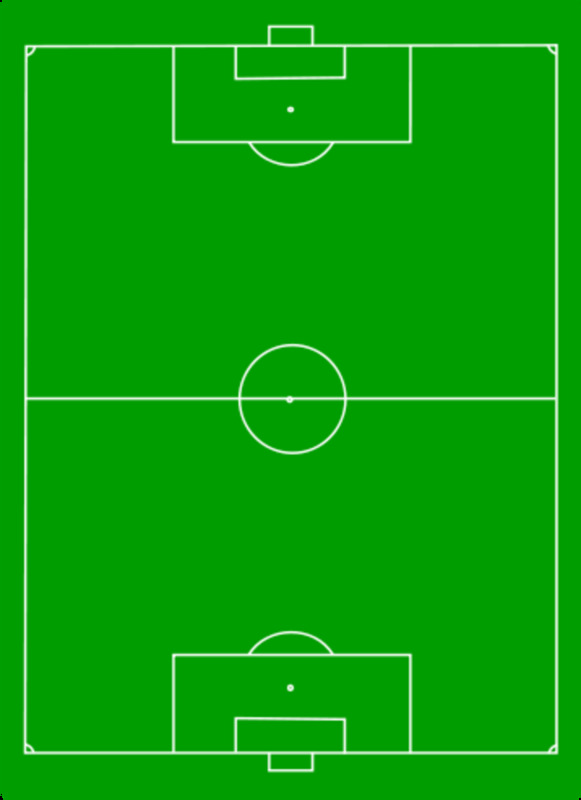 Any player in possession of the ball can be tackled by the opposition, and once brought to the ground, the ball must be released. And tackling is extremely aggressive as befits one of the toughest sports in the world. The video is a compilation of tries scored by New Zealand, and some other action in matches involving the All Blacks during the year 2010, as well as some archive still photography. Although these are only highlights, the video footage amply demonstrates the key aspects of try scoring - slick passing moves in which the ball is passed backwards whilst running forwards, tough tackling, and touchdowns over the goal line. 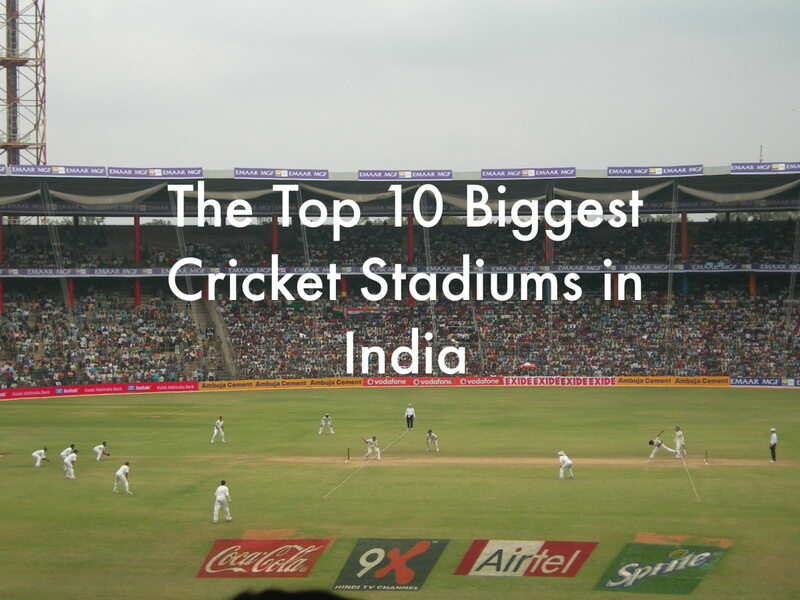 Opposition teams in this compilation include Australia, Scotland, England, South Africa, Wales and Ireland. The video is by antipodean0. Ever since the New Zealand rugby team first toured Australia in 1884, the haka has been a significant part of the ceremonial build up to their matches. But in those early days when the sport was strictly amateur and perhaps the importance of cultural history had less resonance than it does today, the haka was a bit of a lacklustre affair. And certainly New Zealanders of European descent may have felt awkward performing what was essentially a tribal dance. Consequently it was less coordinated and very much less aggressive. In the winter of 1905-6 the All Blacks came to Europe for the first time, and toured the United Kingdom and France before returning home via Canada. They played 5 test matches and 30 games against provincial or club sides and they lost only once, against Wales. 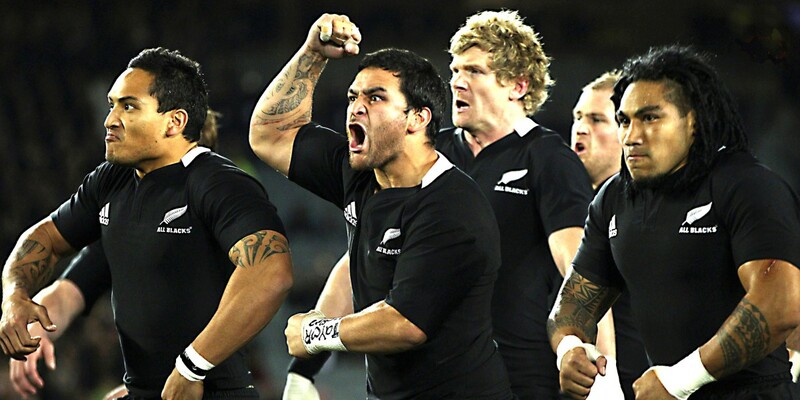 Already the All Black reputation was becoming established, but the tour was also noted for the introduction of the haka for which the rugby team were to become best known, a version called 'Ka Mate'. As the years passed, international tours became a regular feature of the calendar, and as in most contact sports, the players became faster, stronger and fitter and more professional in attitude, even though the sport remained financially amateur for a long time. Rugby Union became tougher and harder, and the All Blacks developed a reputation as the toughest and hardest of all teams to beat. But the power play on the pitch still wasn't really matched by the power of the haka. In truth 'Ka Mata' - despite the title of this essay - was not really a war haka but rather it was a ceremonial haka, and certainly the version presented in the early years (a brief four seconds from 1906 is included in the explanatory video below) wouldn't have put the fear of God into anyone. The haka had to become more menacing and much more like the tribal dances of old, if it was to be a truly fitting challenge laid down by 15 tough men taking on 15 tough opponents. And that's exactly what has happened in the past few decades since the advent of live television coverage brought the game to an ever wider audience in the 1960s, and the advent of full professionalism in the 1990s led to rugby becoming not merely a match, but an event with extensive pre-match entertainments. The more that the players took up the haka with relish, so the crowds wherever New Zealand toured came to appreciate it more and more. And it became recognised that whatever celebrity stars might appear in the pre-match build-up, nothing would be anticipated before a match quite so much as the ritual performance of the haka. The crowds loved it, and remarkably it wasn't just the New Zealand fans - the biggest cheer that the All Blacks would ever receive from opposition fans, was not when they scored a try, but when they performed the haka! (The reaction of the crowd can be gauged by the background sound in the videos below). Today the haka is performed with great passion and national pride.There is an air of expectancy after the national anthems have been sung and the time of the kick off draws near. 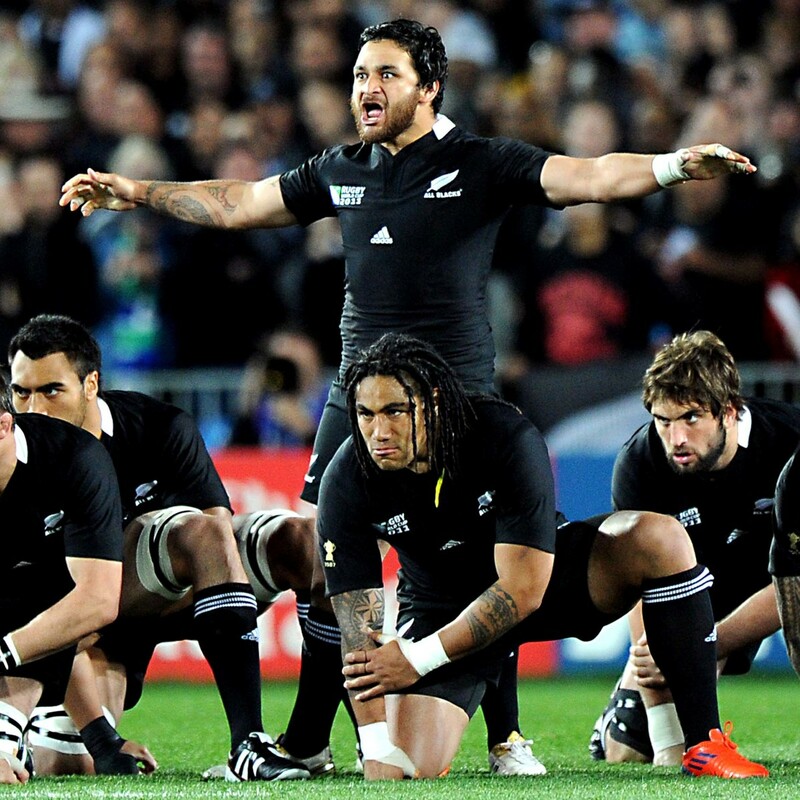 The All Blacks come together and await the cue to perform. The opposition team also gathers together to face down the challenge. Often they'll form a line and maybe link arms. 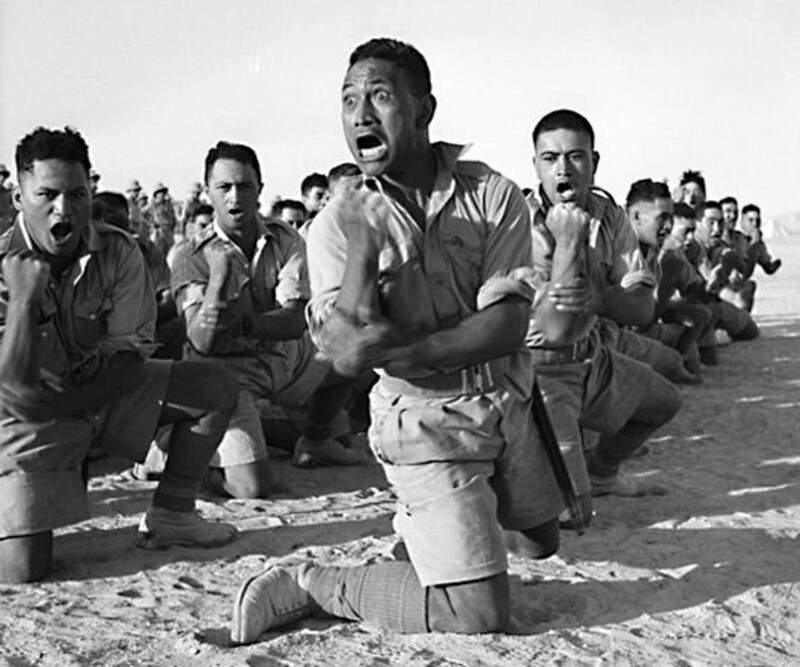 Then one of the New Zealanders, designated to lead the war dance, shouts his commands to his men and the haka begins, often with what sounds like a deep loud sigh. It is a potent expression of power. The Maoris are Polynesian by ancestry, and similar dances to the haka exist on many of the other islands in the South Pacific. Many of these islands also play rugby and most notably Fiji, Tonga and Samoa all have dance challenges which are superficially similar to that of the Maoris. And some American football teams, including Hawaiian teams, have also adopted versions of these dances. This short explanatory video by AIG, shows the haka 'war dance' in all its theatrical glory, a spectacle for the crowd, and a traditional challenge laid down on the field of battle which the opposition team for the most part faces with dignity and respect. In this video, the opponents who face the challenge is Ireland. When rugby union was an essentially amateur sport, few people had any problem with the haka. But today this is a highly professional sport at senior club and international level and the leading players have a superstar status. High stakes are involved in sporting success, and inevitably this has led to some controversy over the performance of the haka before major internationals. The fundamental issue is whether or not a war dance which is clearly intended to be intimidatory in nature, gives an unfair advantage to the New Zealand team? Does it give them an adrenalin rush which is denied to their opponents who have to stand and watch? Can one imagine a situation in the Super Bowl where one team is allowed to taunt and shout at the other side without reply? For this reason many within the sport, including some leading players, have said that the time has come for the haka as a pre-match ceremony to be abandoned in top level internationals. The reasoning is understandable. But the voices of those who oppose the haka are still more than drowned out by the overwhelming support for the haka which exists in New Zealand, and much more importantly among rugby fans from all other nations. Every time a match involving the All Blacks is played, the National Anthems will be sung with enthusiasm, and any of the other pre-match entertainments will be enjoyed. But more than anything else, everyone in the crowd awaits the haka as the prelude to the blood and thunder of a tough rugby match. If the war dance gives the New Zealanders any slight psychological advantage at all, one suspects that most opposition fans would willingly trade that for the sheer spectacle of watching the haka. How do other teams respond to the haka? The tradition has always been for the opposition to respectfully stand and watch as the All Blacks perform their war dance. 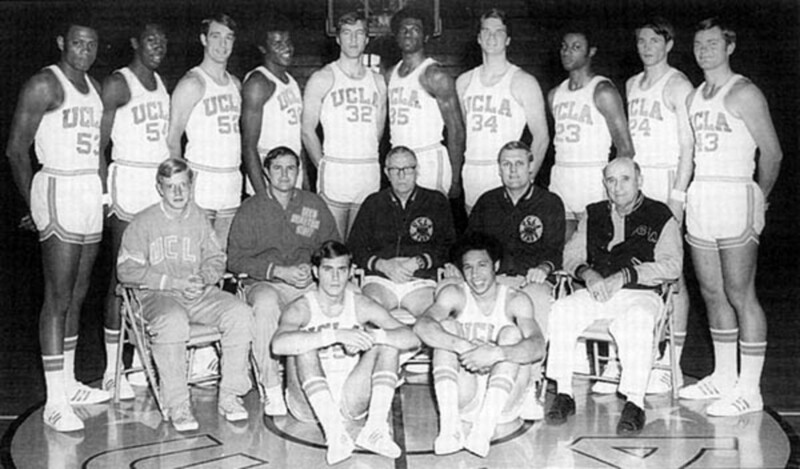 Often the other team will link arms and stand their ground in a show of defiant comradeship, but on occasion in recent years, they have taken their defiance a step further. In 1989, the Irish team linked arms and after the start of the haka, they began to advance in a V-formation till they stood just inches from the first of the New Zealand players. A similar attempt to unsettle New Zealand occurred before the 1995 World Cup Final when the 'Springboks' of South Africa moved forward to confront the All Blacks in a line. Some players, notably the great Australian wing David Campese, snubbed the haka entirely by warming up behind his goal line and ignoring the theatricals. And in 2008, the Welsh showed their defiance by refusing to break their line after the haka. Neither team was willing to withdraw first so there was an uncomfortable two minute period, which was spent just eye-balling each other. Eventually the referee had to instruct both sides to get into position for the start of the game. Such actions may be understandable but there is a fear that one day such close proximity and this aggressive posturing may lead to tempers being frayed and punches being thrown. Given the tremendous popularity of the dance, but also the need to cool down the tension, the haka has even earned a place in the legislature with directives instructing opposition teams on how they should behave to show respect. The directive was introduced (although not rigidly enforced) that the opposition players should not advance to within ten metres of the All Blacks during the performance. The video shows a compilation of hakas the New Zealanders have performed in recent years. In one excerpt Tonga (in red) performs its own version called the 'Sipi Tau', and in another the Fijian Rugby team (in white) subject the All Blacks to their war dance before receiving the All Blacks response. Towards the end, New Zealand (in their change strip of pale grey shirts) challenge the French team, who rise to the pre-match occasion by wearing the red white and blue of the French Tricolor (blue shirts are the normal team colour), and by coming in to confront the haka face to face.The very final performance in this video features one of the most aggressive hakas of recent years, a version called 'Kapa o Pango' which ends with a somewhat controversial 'throat-slitting' gesture! That must be seen! The video was uploaded to YouTube by Adam Sweeney. When European culture meets native culture, history tells us that the native culture suffers. And so it was to a large extent in New Zealand, but in the 'Land of the Long White Cloud', there has been some harmonising of cultures. Modern New Zealand has embraced native history as well as European history, and nowhere more so than in respect of the haka. People of Maori descent today make up just 14% of the population, but New Zealand as a nation adopts the haka as their own. That is partly because of its historic significance, but also I'm sure partly because of the pride it inspires in all New Zealanders. The country today is democratic, prosperous and peaceful. It is one of the world's most civilised nations. Yet its geographical location and its comparatively small size (a population of only 4.5 million) means that it may seem like something of a political backwater - very far away from the places where events are changing the world - America, Europe, China, the Middle East. In such circumstances, great national pride and emotional outpouring may be difficult to orchestrate. But on the rugby playing field and in the performance of the haka, New Zealanders can feel pre-eminent in the world - a powerful, united, and unstoppable force. I hope this page has made a case for the haka as a spectacle of great drama and entertainment value which should remain as part of the pre-match entertainment involving New Zealand rugby teams. Rugby is a tough sport and the haka is befitting. And I hope for those who have never seen the haka before, the videos on this page have provided a stirring glimpse into this unique sporting spectacle which wins favour both from fans of New Zealand and from fans of their opponents. The haka is indeed one of the great spectacles of sport. Suzie HQ; Well Suzie, what a delight to see you writing here again! To deal with the subject of this hub first, it's a very special sporting ritual isn't it, with a cultural history which I wanted to record. Even more so, I really wanted to bring the haka to the attention of those in America and elsewhere who may never have seen this war dance before. Hi Alun my friend how are you these days? Sorry I have not been around much. This was a fantastic read on the wonderful Haka which I have witnessed both in NZ and in Dublin by the All Blacks and also Western Samoa and Fiji. I spent a year in New Zealand and the history of the Haka is so interesting. As always your attention to detail is a credit to you. A wonderful breakdown of all you need to know about this very special tradition. Well done on another well written and laid out piece. Up all the way! Nothing quite like the Haka, fun as well as intimidating. I've seen the Haka at various parts of New Zealand. Great hub, well documented. Thank you. MsDora; I agree; the combination of dance combined with menace makes this such a special way of building the atmosphere before a tough rugby match. It gets everyone in the crowd in the mood for what is to come. And so good to see a modern nation embracing ancient culture in this way too. 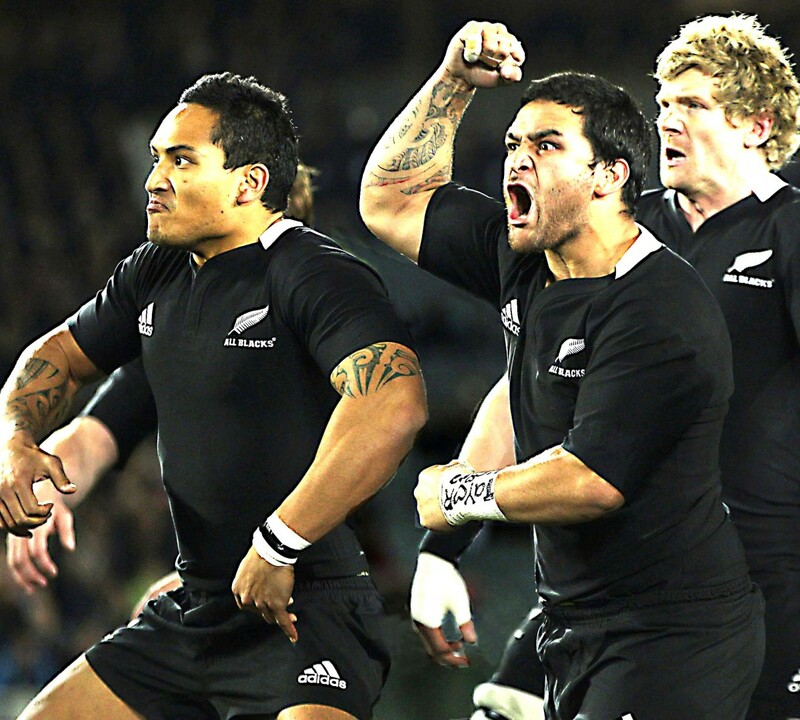 Great article on Haka and rugby in their historical and cultural elements. The dance is beautiful and intimidating at the same time. This blend is spectacular. Thank you for including the videos. Rivals any end zone dance in the NFL! Hmm... maybe our Chicago Bears should start doing it. Interesting hub on a ritual I certainly did not know about. Voted up and sharing. Cheers! Kawi; Thanks a lot for that! When researching videos to use in this article I saw a few college football teams in America (notably in Hawaii), performing Polynesian war dances similar to the Haka. It's good to see that such traditions are being kept alive and enjoyed by people today, even if the context is rather different to the original function of the dance. I hope all American football fans and players respect the performances in the same way that most in the game of rugby do. Cheers, Alun. Kia ora!This was awesome greensleeves!! I so love the vids!! The Haka is now done everywhere, especially at high school football games in Hawaii and also on the mainland... anywhere that you might have a couple of poly boys that know a thing or two...lol. Nicely done. Up/awesome/follow. Peace. Kawi. E noho ra.